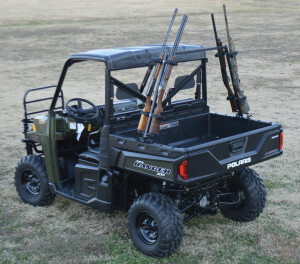 Sporting Clay’s UTV Gun Rack | Great Day Inc. 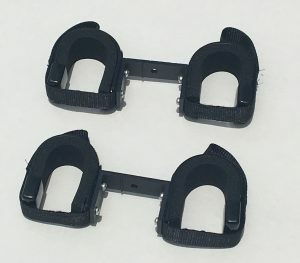 NOTE: The Polaris Lock & Ride plugs are NOT included with the QD804SC. Shown using the Polaris Lock & Ride System. Note that the Lock & Ride anchors are not included and if you prefer this method of application you must purchase them from Polaris. The QD800 Clips can be used to replace the gun holders on the QD800, Vertical Gun Rack or on the QD804SC, Sporting Clays Gun Rack. Click Here for more information on the QD800.